One of my favorite breakfast restaurants in New York City is Le Pain Quotidien. I almost always order the same thing which is a fig and ricotta open faced sandwich. – fresh ricotta cheese….sometimes you can find it at Whole Foods. If not, a packaged version will do. P.S. Le Pain Quotidien is now located in six states and Washington DC. 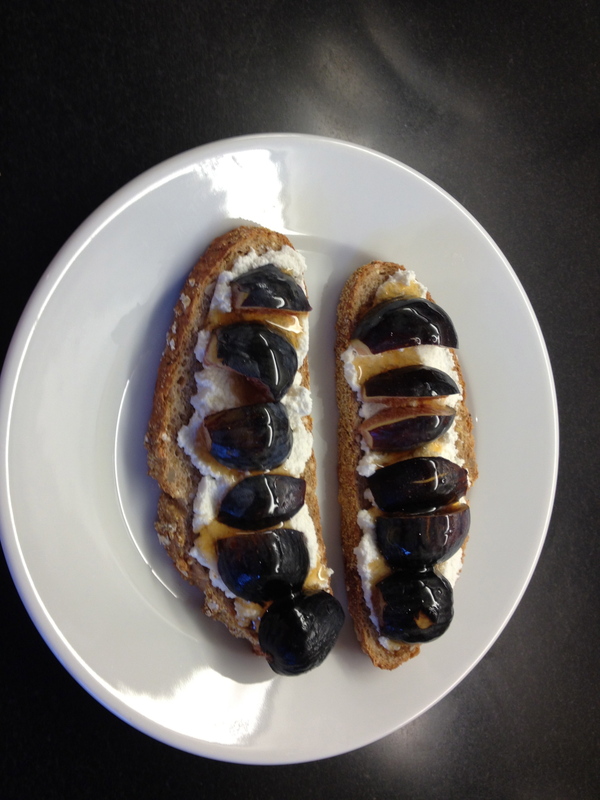 Tags: Le Pain Quotidien, New York City, recipe for fig sanwich, Washington D.C. It is where I had breakfast this morning! I will be sure to try this delicious meal next time I am there! If it is not on the menu request it and they will make it for you. My favorite too!! I wish Le Pain Quotidian would open in PB. Hmmm, do you think they would allow it? It’s a chain!